Persimmons Waterfront Restaurant makes it easy to reserve your table for lunch or dinner online! While reservations are recommended, we are also happy to accommodate walk-ins on a first-come, first-serve basis. For same-day reservations, please call us directly at (252) 514-0033 to expedite your process. We'd love to help make your event a memorable occasion. For special events or larger parties, please contact us at Persimmons.Banquets@1stcarolina.net. Or by phone at 252-514-0033. We have hosted a number of successful events in our upstairs private event space, and can accommodate various types of events. From corporate events, holiday parties, to personal celebrations, we have your event space, food, and drink covered. 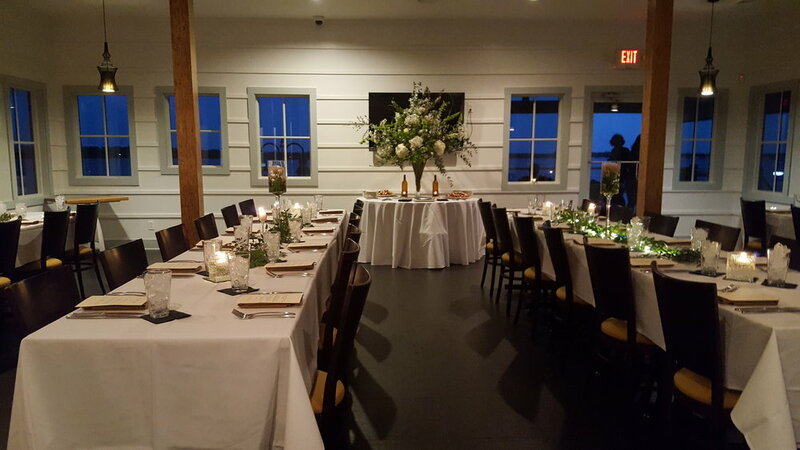 With waterfront views of the Neuse River, there is no better location for a special occasion! Call (252) 514-0033 or email us at Persimmons.Banquets@1stcarolina.net to reserve the upstairs event space for your reception or party.